Over 25 years of supporting international student mobility and over a century of experience in hostelling. How will this cooperation of the two networks benefit young travellers? 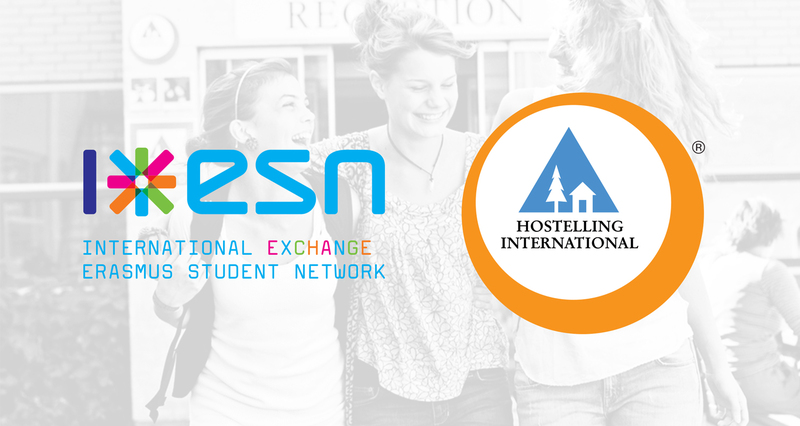 With the growing demand of the young generation to move both abroad and within their own countries, the Erasmus Student Network (ESN) and Hostelling International (HI) have decided to join forces, helping young travellers discover new places, learn about new cultures and gain experience through affordable and quality travel opportunities. Both HI and ESN believe that mobility is the key to personal development. “The partnership between ESN and HI can be called a ‘perfect match’. The vision of Hostelling International as a membership organisation with a network of accommodation providers for mobile young people matches 100% with ours. Going abroad is about meeting other people and experiencing different cultures. I am extremely happy that we start this partnership and give all ESNcard holders the possibility to be part of the HI community.” says Stefan Jahnke, President of ESN. What’s in it for international students? All 130,000 ESNcard holders from the next academic year will be able to benefit from a free year-long HI membership and discounts in nearly 4,000 quality HI hostels in 91 countries around the globe. Furthermore, with the ESNcard students can access thousands of discounted hostel beds in 38 European countries and the opportunity to participate in cultural events, trips and parties organised by ESN all year-round. The ESNcard can be purchased at any of the local ESN associations around Europe. With the European Commission’s ambition of 20% of higher education students having had a study or training period abroad by 2020 the first step to be taken is allowing young people to move, explore the world and feel confident doing it. From today, HI and ESN together make travelling easier and more affordable than ever before. ESN says HI to the World! Will you?